Resistance of a fluid to flow. This resistance acts against the motion of any solid object through the fluid and also against motion of the fluid itself past stationary obstacles. 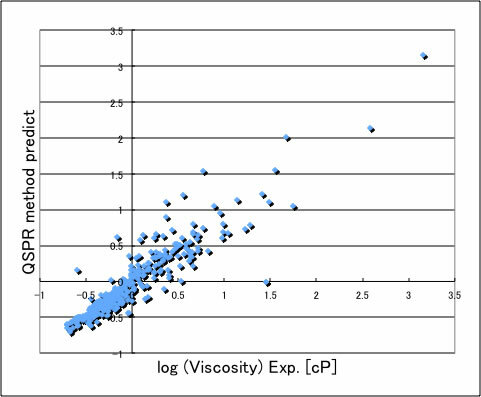 Viscosity also acts internally on the fluid between slower and faster moving adjacent layers. All fluids, i.e., all liquids and gases, exhibit viscosity to some degree. Viscosity may be thought of as fluid friction, just as the friction between two solids resists the motion of one over the other but also makes possible the acceleration of one relative to the other, so viscosity resists the motion of a solid through a fluid but also makes it possible for a propeller or other device to accelerate the solid through the fluid. 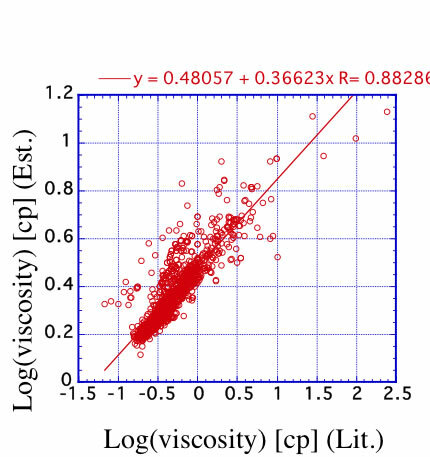 The most popular method for liquid viscosity estimation is Letsou-Stiel method. This method is one of the Corresponding state theory and estimate with following scheme. With using this scheme, I validated the data listed in ”Chemical properties handbook, Yaws". There is correlation but slope and intercept are so bad. I need to treat result with parallel shift. I also build Neural Network method with JAVA and put it on Pirika site. The accuracy of this version become like below. I need not parallel shift. 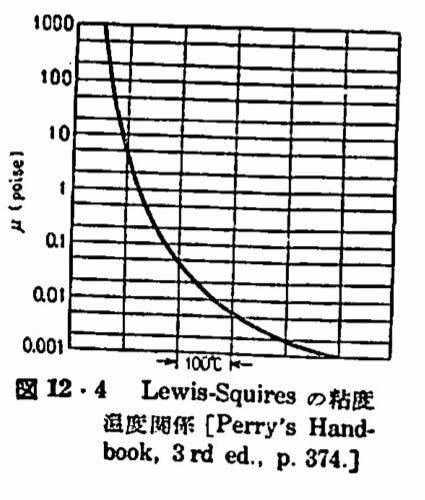 There is very famous viscosity-temperature correlation chart by Lewis-Squires. 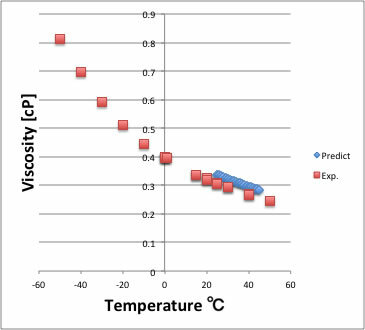 If you have one experimental viscosity data, you can get any viscosity at certain temperature from this chart. 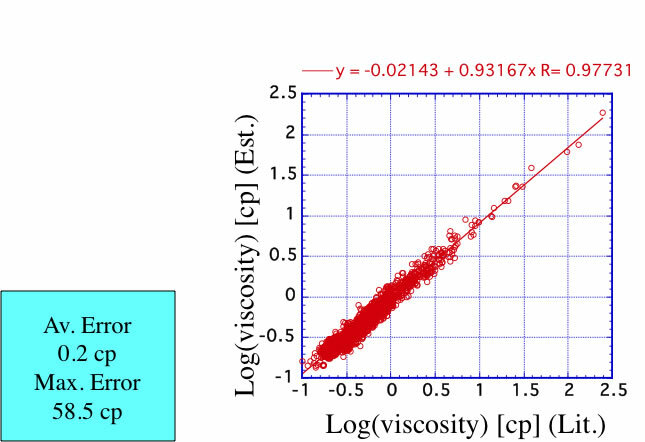 YMB-simulator estimate density at certain temperature and build QSPR model to estimate temperature dependency of viscosity. 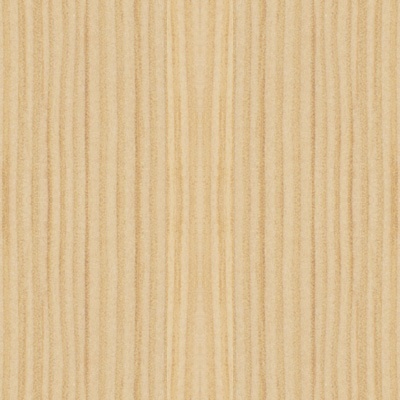 I show the example with Acetone. 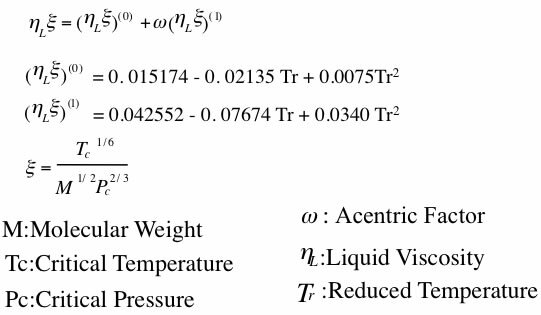 From only chemical structure, I can estimate temperature dependency of viscosity.